The Show for ANY Event! The Dueling Pianos Show fits perfectly at any event as the audience guides every minute – No Two Shows Are Ever The Same! Our ability to work with nearly any program, schedule or format to provide an exciting interactive experience for all guests is truly one of a kind. 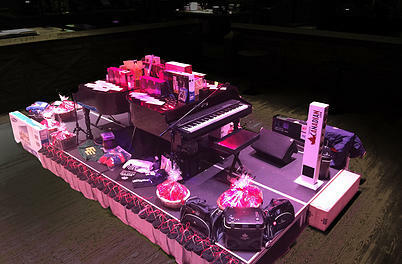 You can rest easy knowing that The Dueling Pianos has the entertainment portion of your event covered. The descriptions below are snapshots of some of our most popular formats, if you’ve got something unique let us know! If you’re looking for something completely different – you’ve found it! Nothing says class like two sparkling grand piano’s with world class entertainers reacting to every whim of your prestigeous guests and collegues. From Gala Receptions to Christmas Parties, Company BBQ’s and Celebrations of all kinds, The Dueling Pianos Show makes it memorable for all. 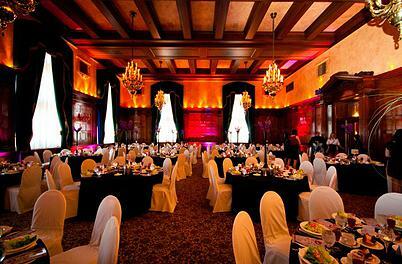 We have developed an exclusive program designed specifically for Corporate Networking events. Nothing brings people together more than interactive music & comedy in a light hearted social environment. Our success is well documented in follow-up data that shows attendees meet more new people and get more new business done at conferences where The Dueling Pianos Show hosts the traditional networking social event – we don’t just break the ice, we shatter it! This where it all started and continues to set sales records – you’ve never seen people party like they do when The Dueling Pianos Show is in town! Your guests will truly feel like they are in Vegas as we give them an experience like never before – they are 100% in control of the show at it get’s outrageous! All the songs they ask for brought to life LIVE on 2 grand piano’s in the middle of your room. It doesn’t take long once The Dueling Pianos Show is announced for reservations to come in droves and fill the place to capacity long before we arrive. We have exclusive marketing materials and social media tools designed specifically for the use of our bar clients to promote the show and ensure success. Over $2,000,000 and counting – the amount of money that has been raised at Fundraising Events where we have had the honor of performing. It’s an AWESOME feeling! The Dueling Pianos Show has an exclusive presence and ability to enhance a Fundraising Event and raise revenue like no other form of entertainment. We have developed specific programs and presentations of The Dueling Pianos Show specifically for these groups and work closely with organizers to ensure the best success. Guests and attendees at Fundraising Events consistantly offer outstanding reviews and continue to purchase tickets & tables to annual events and special occasions alike.